I wanted to share with you all some of my favorite MUST-HAVE’S that I pretty much use every day! 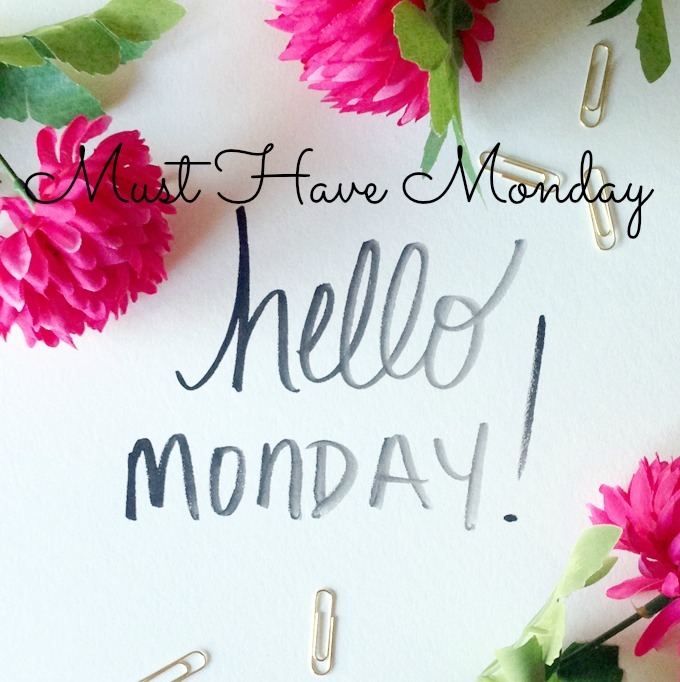 I’m going to make today’s post: MUST-HAVE MONDAY!! 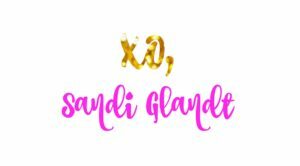 Here is why I love these products so much!! Dry Shampoo: I mean com’on, ladies! Need I say more? Dry shampoo is pretty much a staple for me errry-day! With working out 6-7 days a week having day shampoo on hand is a must for a few quick sprays, some styling and then out the door ready hair! Nike Kicks: I am IN LOVE with these babies! My hubby got me this as a gift but I have to say this shoe is one of the MOST COMFORTABLE workout shoes I’ve ever had! The support they have make it awesome for weight training and the days I’m doing more cardio moves. They’re a WIN-WIN! Motivational Water Bottle: I mean- YES!! Not only is this water bottle your own personal cheerleader but if you’re horrible at drinking water like me- it helps to track how much water you’re drinking throughout the day. FitBit: I got my FitBit a year or two ago as a holiday gift from my parents and I STILL wear and use it today! I love that you can do daily or weekly challenges with other FitBit users and trust me, when I’m wearing this baby, I PURPOSELY park further away and like getting in as many steps as possible to beat my step record from the day before! MakeUp Wipes: These are a workout gals best friend. These are great to wipe down with after a good sweat sesh and I love how they also come in travel size too so when I’m on the road and traveling/ working out I can take them anywhere! AC by BeachBody Sports Bra: I love this sports bra because not only is it super cute but its super comfy too! Autumn Calabrese (who is the creator of 21 day fix) came out with her own workout/ clothing line and this is one of the sports bras she designed. It’s one of my favorites and I love the colors too! Pre Workout: I literally never start a workout without this stuff! This gives me a jolt of energy right before my workouts so I can power through them and get the best workout in possible. This stuff makes me feel like SUPER WOMAN!! 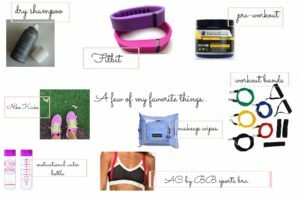 Workout Bands: I love, love, love my workout bands! The best thing about these is you can get a FULL body workout in with just one band! Bonus for all my travel bug–> it fits perfectly in your suitcase if you can twirl it up and stuff it in your shoe in your suitcase (travel packing tip 🙂 ). These are great to have for most of the workout programs I do but also can be a great workout tool to have on its own! If you have any questions about any of MY FAVORITE items, reach out to me, I’d love to chat with you! Oh, and if you have a FitBit too, make sure to add me so we can connect! 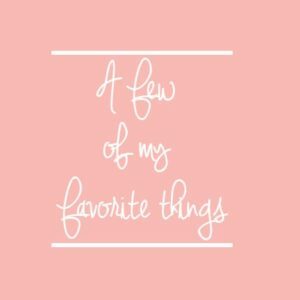 I hope you all have a fabulous Monday and I’d love for you to comment below on some of YOUR favorite things!